Beautifully decorated and impeccably maintained turn key home. 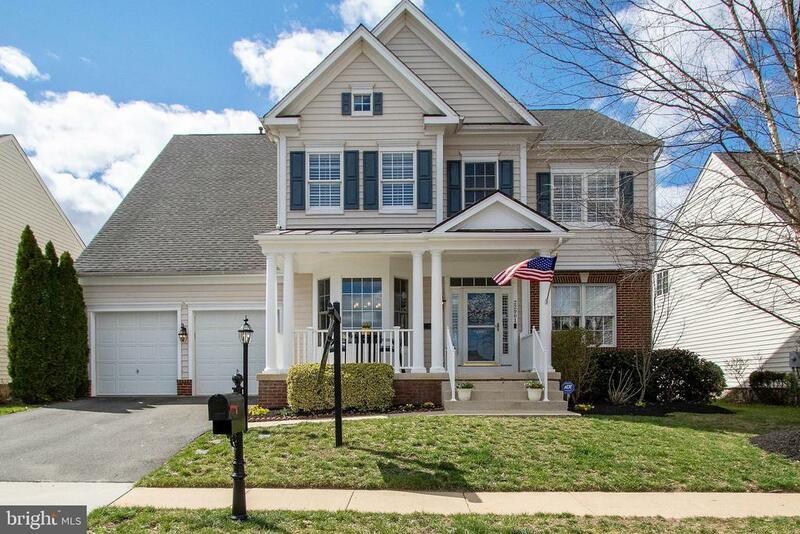 Cozy front porch welcomes you as you enter the open floor plan of this Brambleton home. Open foyer with hardwood floors on most of the main level. French doors open to a main level office with custom built ins. The stacked stone fireplace is the focal point of the family room that opens to the gourmet kitchen. Granite counters and stainless appliances finish off the spacious kitchen. Butlers pantry connects to the formal dining room. Walk out to a fully fenced yard and the paver patio is perfect for all your outside entertaining needs. The upper level owner~s suite has a sitting room 2 walk in closets and dual vanities with a separate soaking tub and sizable shower. Secondary bedrooms include a Jack and Jill bathroom and an ensuite bedroom with its own private full bath. The lower level is the perfect for movie night or teen entertaining. Plenty of space for ping pong, foosball or pool tables. Den and Full bath are perfect for your out of town guest visits.